Woot! 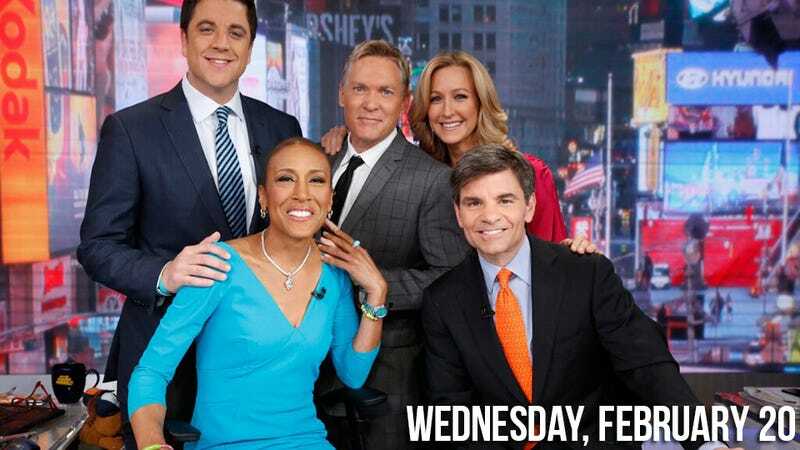 After a five-month leave of absence to undergo a bone marrow transplant for a rare blood disorder, Robin Roberts has returned to Good Morning America, opening with: "I have been waiting 174 days to say this: 'Good Morning America." She added: "I keep pinching myself and I realize this is real. This is actually happening, and I don't have my froggy slippers on, or do I? Faith, family and friends have brought me to this moment and I am so full of gratitude." Heeding her doctors' caution that her immune system is still rebuilding, the "GMA" team refrained from the hugs or high-fives they clearly would like to have shared. "His paranoia was driving Kate quite mad, but she went along with his demands - until the day he forbade her to join her family for a fun night out at a local bistro. He told her he was fearful because he wouldn't be able to inspect the way her food was being prepared! While Kate truly appreciates William's concern, his overprotective ways definitely put a bit of a damper on the vacation."